After a photo of a deputy being rewarded for her 50th use of force act against people in her custody, the sheriff's department admitted to what is being called a "fight club." The sheriff’s office confirmed that the deputies kept an off the books contest in which they tracked every time force was used against an inmate. The force ranged from simple handcuffing to punching, kicking, and violently slamming inmates. The deputies found to be the most forceful were awarded bragging rights and declared winners of the club. 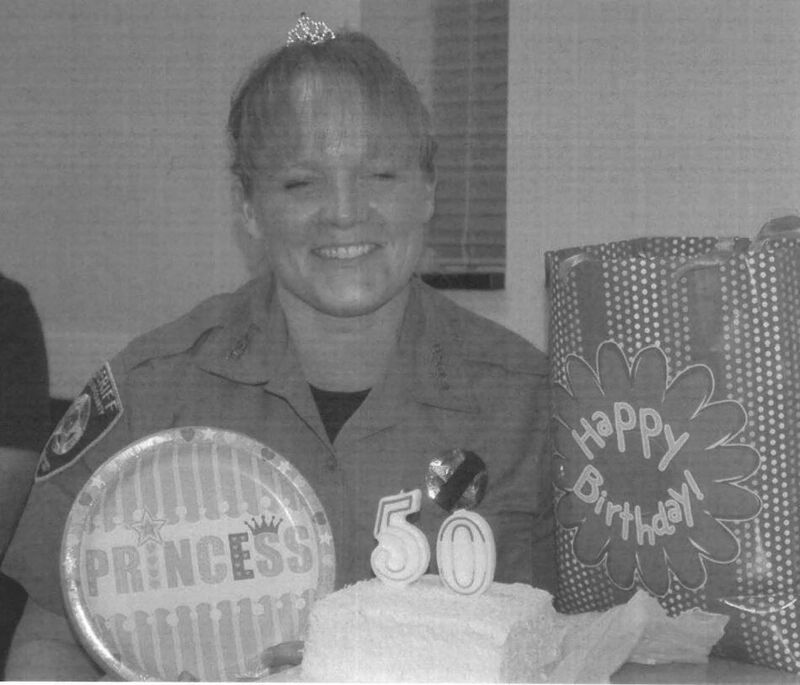 A photograph of El Paso County sheriff’s Deputy Sandra Rincon helped to expose this “fight club” as it showed her posing next to a cake with two candles on top displaying the number 50. Rincon was wearing a tiara and was pictured smiling next to the cake with a sign that said, “Happy Birthday” — but it was not her birthday. 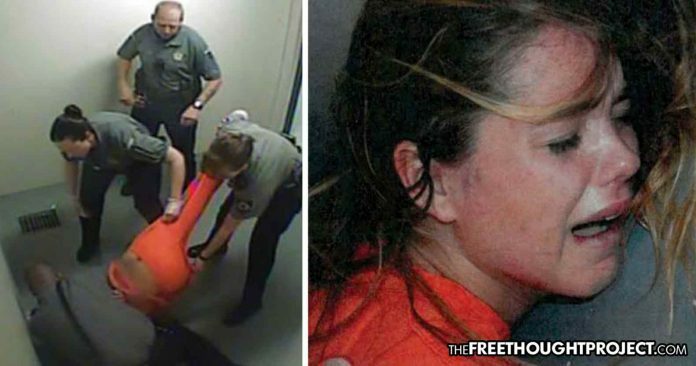 Rincon was celebrating her 50th use of force against inmates in her custody and had been awarded top honors for her brutality, according to Darold Killmer, a Denver civil rights lawyer who revealed the practice as part of a lawsuit. “This exposed an entire culture of violence,” said Killmer, who credits the photo for helping to pave the way toward a $675,000 settlement for his client, Philippa McCully. It would be the county’s largest payout on record, according to the Gazette. The $675,000 lawsuit was paid out after several images showed deputies — apparently part of the “fight club” — rip the legs out from under McCully, and shoving her face first into the pavement. McCully emerged from her five-day stay at the jail in April 2014 covered in bruises, with her left ACL torn, her knee fractured and injuries to her face, head and upper body, says the lawsuit filed in U.S. District Court in Denver in April 2016. McCully told The Gazette that deputies told her to sit. She didn’t hear them, asking “pardon?” For not immediately complying, the deputies cause her to “slam forcibly onto the cell floor, audibly hitting her head and knees against the hard concrete surface,” the lawsuit says. McCully, the 5′ tall 100 lb college student was apparently a threat to the deputies who claimed the force was necessary and, and in spite of the lawsuit, none of the deputies involved were disciplined. The fight club reportedly spanned four years from 2012 to 2016 and involved almost a dozen deputies, according to the investigation. Even after being exposed for such horrific practices, not a single one of the cops faced any semblance of discipline. Not a single deputy involved in the fight club faced so much as a suspension. According to the Gazette, in the wake of the probe, six Sheriff’s Office staff received letters of counseling and four received written reprimands, one of the lowest forms of disciplinary action. No one was demoted or transferred, and no salaries were docked, sheriff’s officials confirmed. As for why virtually no discipline was taken, Undersherrif Joe Breister said bragging about beating inmates may have been “bad judgement” but it helped to build esprit de corps among deputies. The use of force incidents at the jail show no signs of slowing either. According to the Gazette, the year the fight club ended in 2016, the jail recorded 900 use of force incidents. Those numbers nearly tripled in 2017 with massive 2,400 use of force incidents being reported. Through July of this year, over 800 incidents have already been reported.